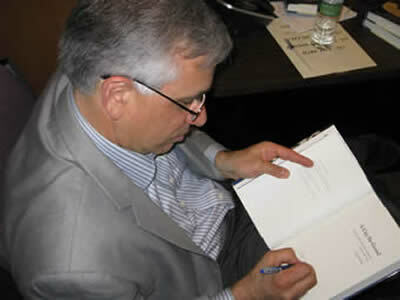 The Andover Bookstore in Andover, MA hosted Steve's second presentation for A City So Grand. 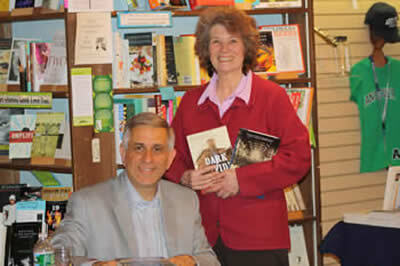 Steve is shown here with Events Coordinator Karen Harris. 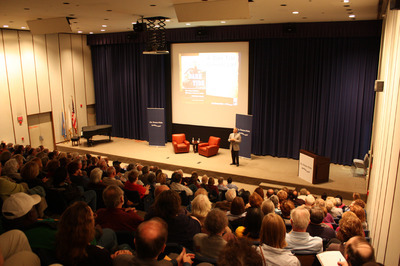 Steve presented to an overflow crowd at the Boston Public LIbrary in honor of Dark Tide's selection, by more than 8,000 voters, for the first "One Book, One City" reading program. 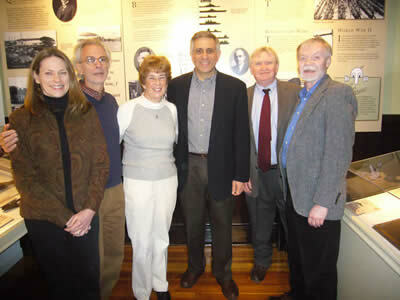 Steve enjoyed discussing his work on The Boston Italians at an event hosted by the Quincy Historical Society in Quincy, MA. 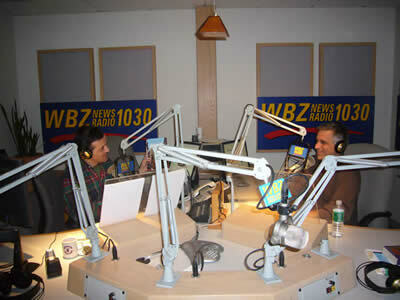 For an appearance on the Jordan Rich Show on WBZ radio, Steve discussed his third book, The Boston Italians.